Here’s a link to an article I wrote a while back about Le Musée des Vampires, a small private museum dedicated to vampires and the study of their place in folklore and modern culture. Located just on the outer edge of Paris, it can be a bit complicated to visit for non-French speakers, but it’s totally do-able and absolutely worth the effort if you’re a fan of vampires, mythology, and weird stuff in general! One highlight of the museum which I found very impressive: autographed photos of every actor who’s ever starred as Dracula in a Hollywood movie! 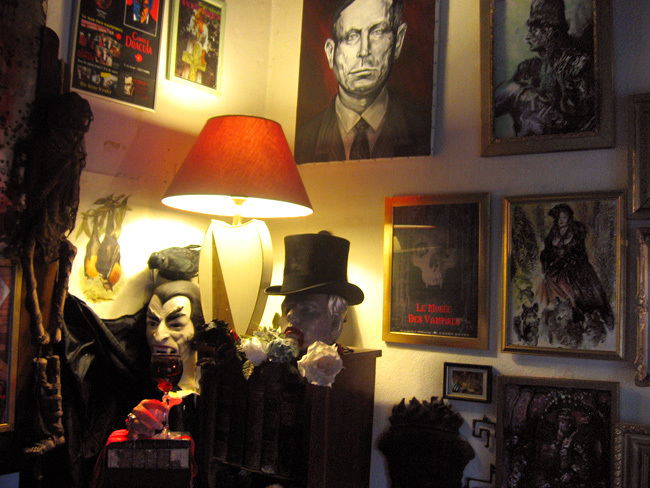 Read more: Le Musée des Vampires on Cool Stuff in Paris.